Raising kids to be healthy and conscious about what they eat is important part of theor lives. It's been said that parents who are living a healthy lifestyle can help their kids by leading by example. I have been in clean for over a year now. It has given me great benefits and has made me feel good. I have slowly tried to teach my kids the importance of a healthier lifestyle, eating right and minimizing the amount of "junk" food they take in. I don't want them to deprive themselves of the "kid snacks" but also do not want them to indulge. I want to teach them the importance of eating nutritious foods that taste good. Not all health conscious foods taste flavorless or like cardboard. 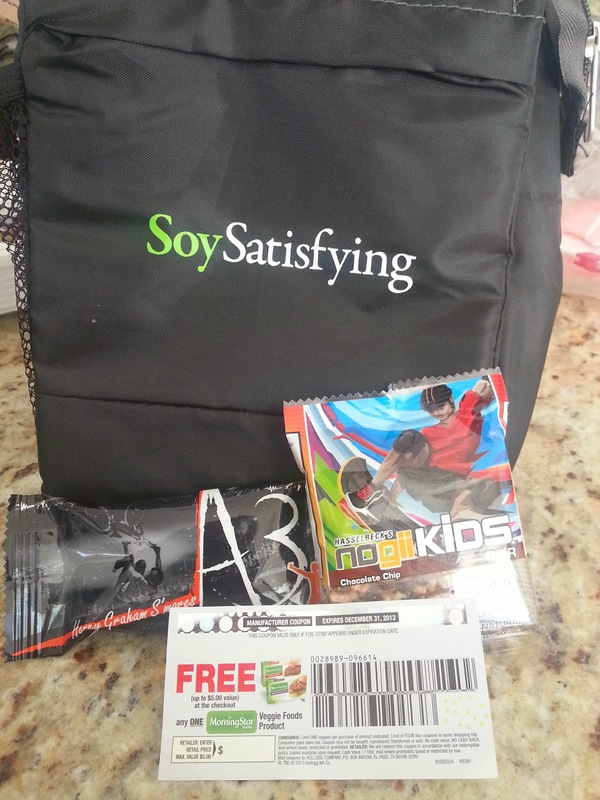 Soy protein helps support healthy growth and development while fighting against childhood obesity. Additionally, incorporating high-quality proteins, such as soy protein, into children’s diets supports their immune systems. Soy, which can be an excellent source of plant-based protein and other nutrients, has been consumed around the world for years. Soy foods have even been shown to confer health benefits when introduced to kids. Research suggests that it is safe to consume two to three servings of soy foods every day as part of a balanced and varied diet. The key is to ensure that a child’s plant-based diet includes a wide variety of foods. Upon receiving the products, my boys and I enjoyed the Honey Graham S'mores Bar. My son said, "Wow...this is good. It tastes like a rice krispy treat." With only 110 calories, 8g of sugar and 5g of protein, I would choose my kids to eat an A3 bar instead of rice krispy treats as a snack. The soy protein crisps give the bar the crisp that all kids will love. 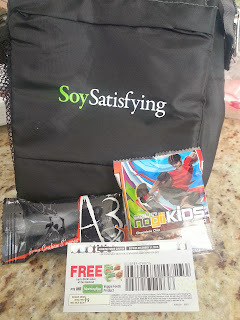 Comment below how you have introduced Soy or will be introducing soy products to your kids. A winner will be chosen by random. I will contact the winner via email. This giveaway will end on December 12, 2013. Disclosure: The products, information and two gift packs have been provided by DuPont Nutrition and Health.